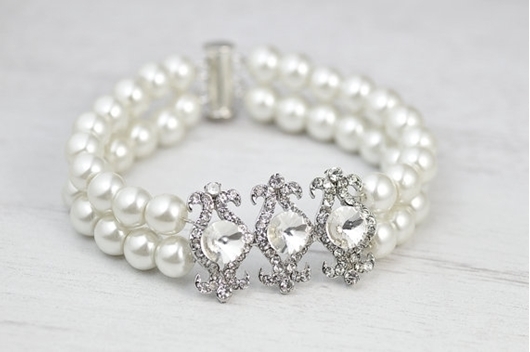 Vintage weddings bridal pearls bracelet. Bridal cuff crystal bracelet. Pearl cuff bracelet. Bridal charm bracelet. Vintage bridal bracelet.